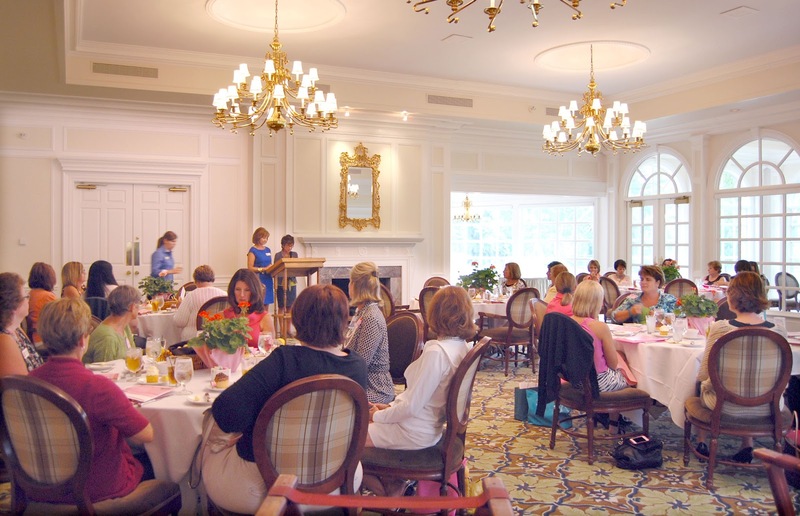 Table Captains, Bosom Buddies, sponsors and friends of Francine's Friends gathered at Sycamore Hills Country Club recently for the Pre-Luncheon Table Captain gathering and to learn more about this year's event. 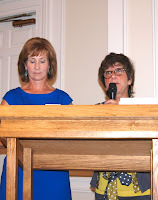 Francine's Friends board members and Table Captain Co-chairs Sharon Eisbart and Jeanne Garton welcomed the group, shared information about the upcoming annual "Lunch with Friends" and presented packets, plus tips on how to fill the Memorial Coliseum on Oct. 12th to the rafters with Francine's "friends"! 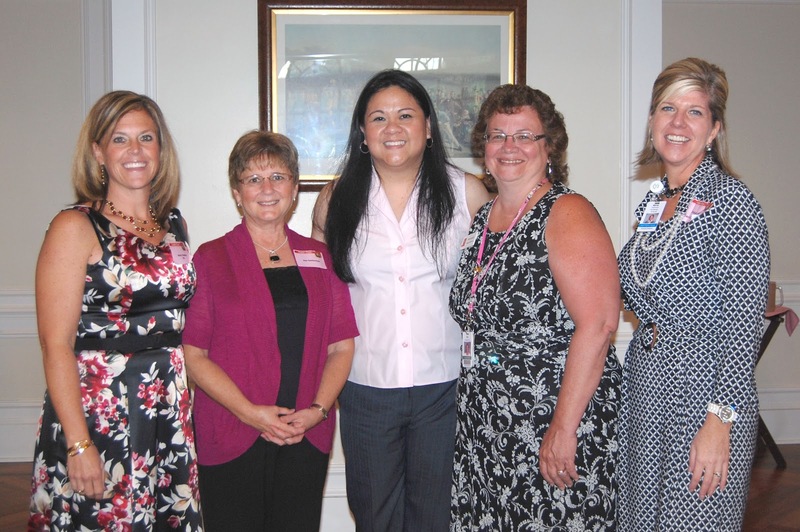 Sponsored by Indiana Surgical Specialists (ISS), guests also heard from Dr. Adeline Deladisma, new to Indiana Surgical Specialists (ISS), and most recently the Breast Surgical Oncology Fellow at the AAMC Breast Center. The AAMC Breast Center in Annapolis, Maryland is an affiliate of Anne Arundel Medical Center and is nationally recognized for its outstanding care, research and comprehensive programs. The Breast Center offers kind, sensitive, and tailored breast disease treatment and care for women. Dr. Deladisma officially begins at ISS on Nov. 1st, and is so excited to be moving to our community. She instantly won the hearts of everyone in attendance, and will also be speaking at the Oct. 12th "Lunch with Friends". Not a table captain yet? No worries - contact Jeanne Garton (625-3532 or jeannegarton@aol.com) or Sharon Eisbart (432-2252 or secorporateart@yahoo.com) and they will provide you with a packet and instructions for helping you fill your table. This year, we're also making individual tickets available too - tickets are $75 each and every cent of the ticket price goes to help cover the cost of a mammogram on the coach. RSVP to Jeanne or Sharon (by Sept. 11th) for individual reservations, and plan to attend!